To the old non-foodie me at least, Bak Chor Mee was seen as uninspiring and tasting roughly the same everywhere (but that’s before I had the Bedok Blk 85 ones yummzz). It’s just a meagre bowl of mince meat and noodles after all, isn’t it? 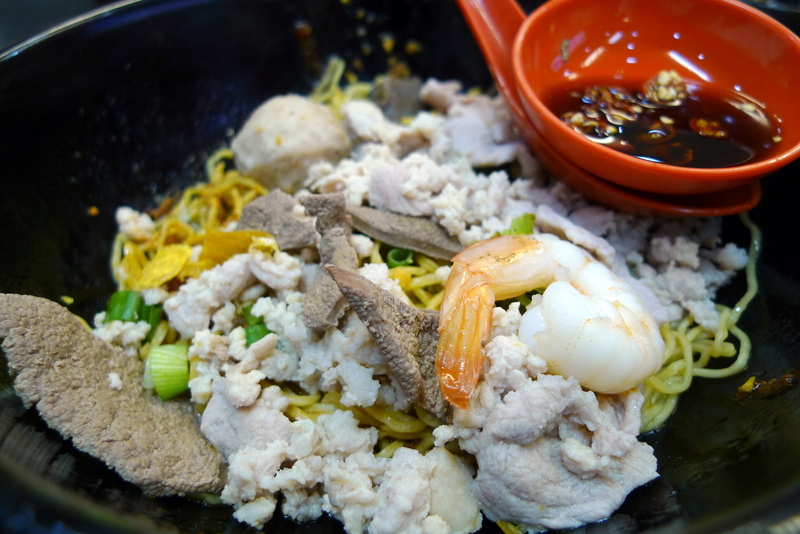 However recently, several of my friends, all denizens of the Thomson area, swore in unison by Meng Kitchen’s Bak Chor Mee as the best BCM in Singapore. By their account, it is so good that paying visits to Meng Kitchen 2-3 times a week(which they do) is fully justified. This really piqued the foodie’s curiosity in me and thus a visit to Meng Kitchen was in the works. 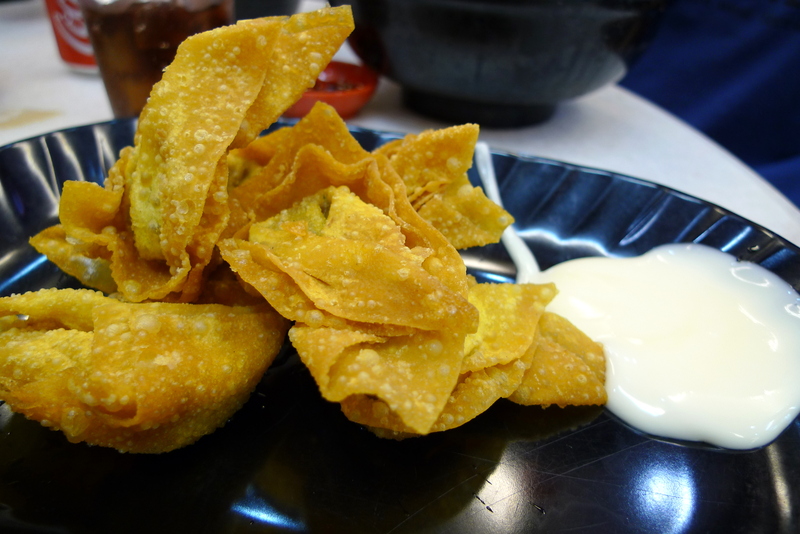 From what I hear, the BCM here used to cost only $2.50 but in line with rising food costs, it is now priced at $3.50 though they now throw in a single prawn. What I find great about Meng Kitchen’s BCM is that they are generous with their ingredients(meatball, sliced pork, prawn, liver, mushroom and a heap of bak chor), the oodles of noodles are springy and nicely mixed with a dash of vinegar and chili. I would prefer the liver a little less cooked though(with that light pinkish tinge) and the Bak Chor a little more fatty though but that’s would be bordering on perfection. In any case, I was pretty contented with the BCM here. By the way, Meng Kitchen is open 24-hours which is great for night owls and hungry clubbers. I did a light sampling of the other zi char style dishes served here but they were pretty forgettable in my humble opinion. The Braised Pig Trotters($5) was too tough and dry with a weak dilute soy base while the Deep Fried Dumplings($3) was rather mediore, what I used to get in my school canteen. The BCM at Meng Kitchen is definitely more than decent (unlike the lacklustre side dishes) and I left the place a satisfied customer but it’s not great enough to leave me hankering for it with restless nights. Perhaps I should introduce my friends to Bedok Blk 85 or make them accompany me to Seng Kee Bak Chor Mee on Changi Road which I’m going to try out myself after hearing it’s also one of the best in Singapore. Categories : All YumYums in my TumTum, Asian, Budget, Chinese, Cuisine Type YumYums, Location of YumYum, Marymount, Yummy! 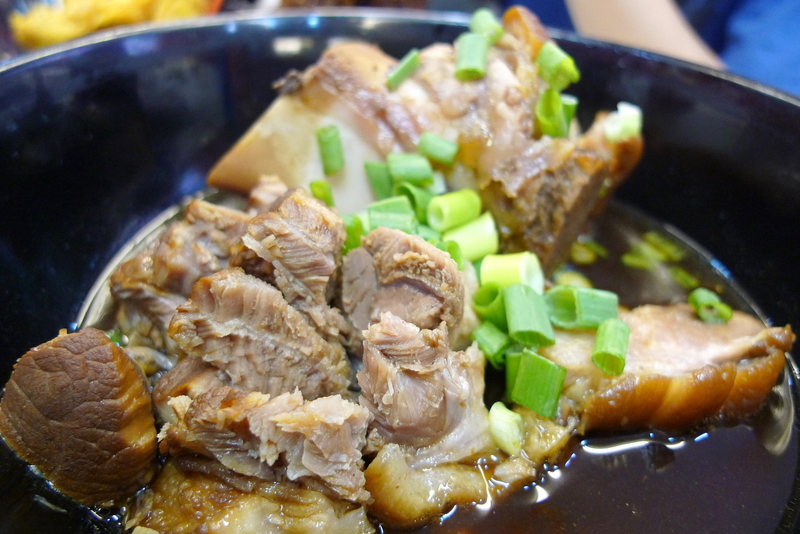 have you tried the Gao Feng noodles next door? I don’t like Bedok 85’s bcm!!! It’s WET! Anw you really travel the world and the seven seas for good food can. omg?? I eat at meng’s kitchen and the one next door to it quite often.. 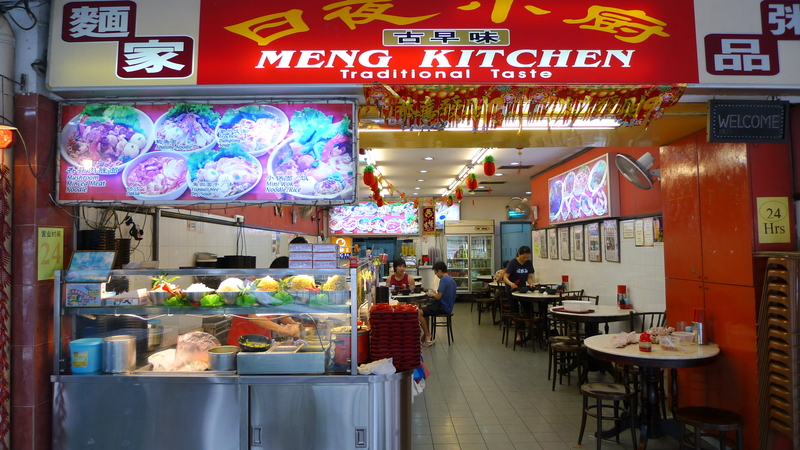 I think the one next door that sells that cheapo abalone BCM is better this meng’s kitchen! lol! oic. ok prob next wk or wk after next i shall try! nt really a bcm fan though…but i think the one at cineleisure basement foodcourt nt bad, i think i’m a bcm noob. And the best part of the BCM is to leave the meatball for the last and savour it until the very last bit. i got a better idea! add $2 meatball and savour it all the way!